NEW BRITAIN - Revitalizing and stabilizing neighborhoods for 40 years, Neighborhood Housing Services of New Britain Inc. works to ensure that everyone, especially those whose income falls on the lower end of spectrum, is provided excellent, affordable housing, according to Executive Director John Kukulka. NHSNB may not be affiliated with the city of New Britain, but that doesn’t stop it from building and providing affordable housing to those who earn 80 percent or less of the median income. It also offers counseling, landlord workshops and financial fitness. “Not a lot of people provide affordable housing. We build and provide affordable housing. That’s our mandate,” Kukulka stated. Recently, NHSNB has built two new multifamily houses on Beaver Street and plans to build more, with real estate to go on sale in two or three months. Kukulka also stated that NHSNB’s counselors are “constantly training” and are “constantly current on the latest information” on closure prevention and preclosures, among other things, in English and in Spanish. 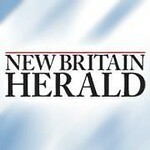 Additionally, Kukulka said that NHSNB strives to have a large presence in Central Connecticut’s and the Greater Hartford region’s communities. That is why the NHSNB even has interns from New Britain’s own Central Connecticut State University and other local colleges; Kukulka is a CCSU alumnus himself. Everything NHSNB does is done to keep the housing affordable and its residents at ease. Kukulka stressed again that this is because everyone should have a roof over their head. Neighborhood Housing Services of New Britain Inc. is located at 223 Broad St., New Britain. For more information, visit or call 860-224-2433. Posted in New Britain Herald, Business, on Thursday, 29 November 2018 20:22. Updated: Thursday, 29 November 2018 20:25.